branding including logo design and branding guidelines. Branding material including business cards, letterhead (printed & electronic), plain and window face envelopes and email signature. Website was designed & developed along branding guidelines with a Melbourne theme with photos chosen accordingly. Copy was written to showcase the unique selling points of all three arms of the business. A property plugin was customised to match realestate.com.au for ease of use for the client. Ongoing blogging is being done by lexiphi on behalf of the client at a set monthly fee. 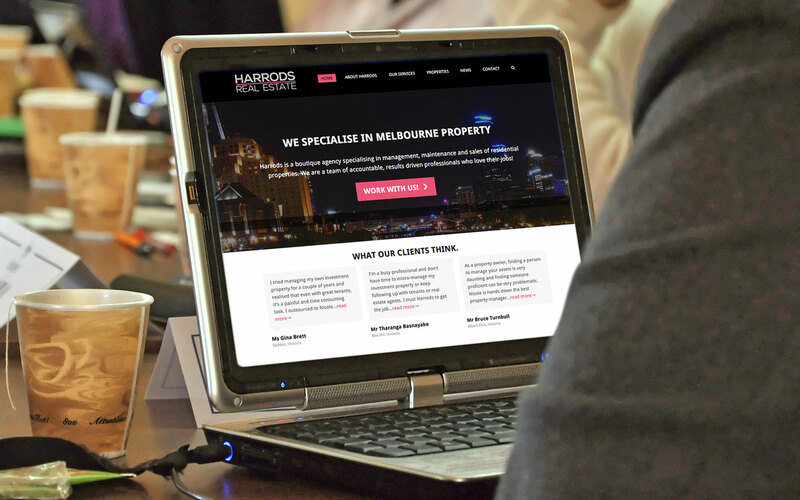 The Harrods Real Estate was customised with the branding and property plugin, photography was chosen and copy was written for the website. Harrods Real Estate logo designs with branding of a strong pink and dark grey in a strong professional typeface. The reverse version of the logo has a light grey/white type variation. 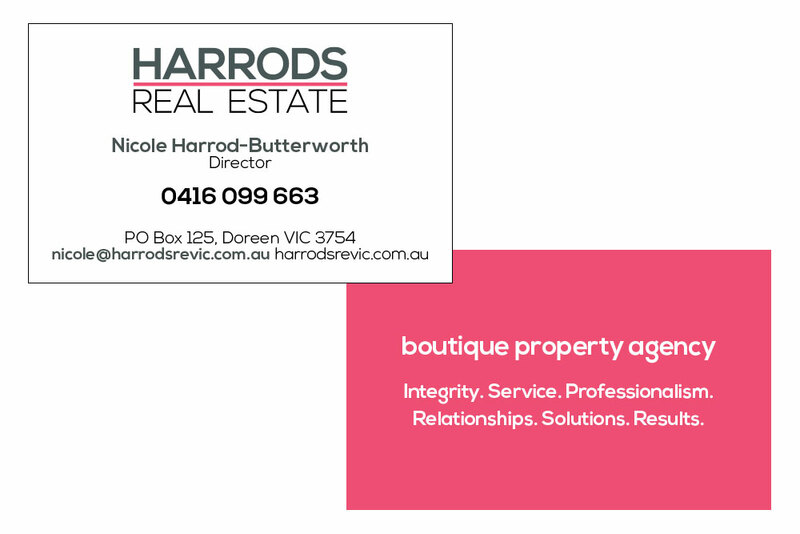 Harrods Real Estate double sided business card, printed 4 colour on 350gsm with matt laminate. The mission statement is printed on the back out of the Harrods pink. 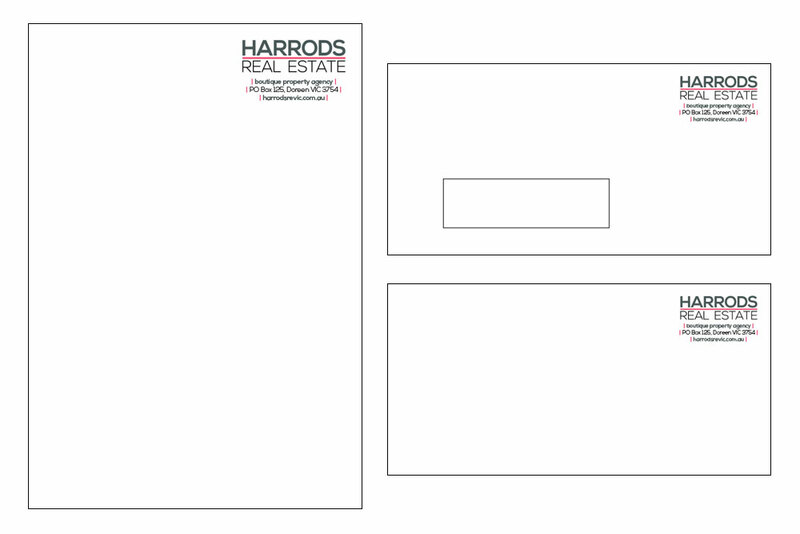 Harrods letterhead, window face and plain envelopes with Harrods logo and contact details in the Harrods branding.